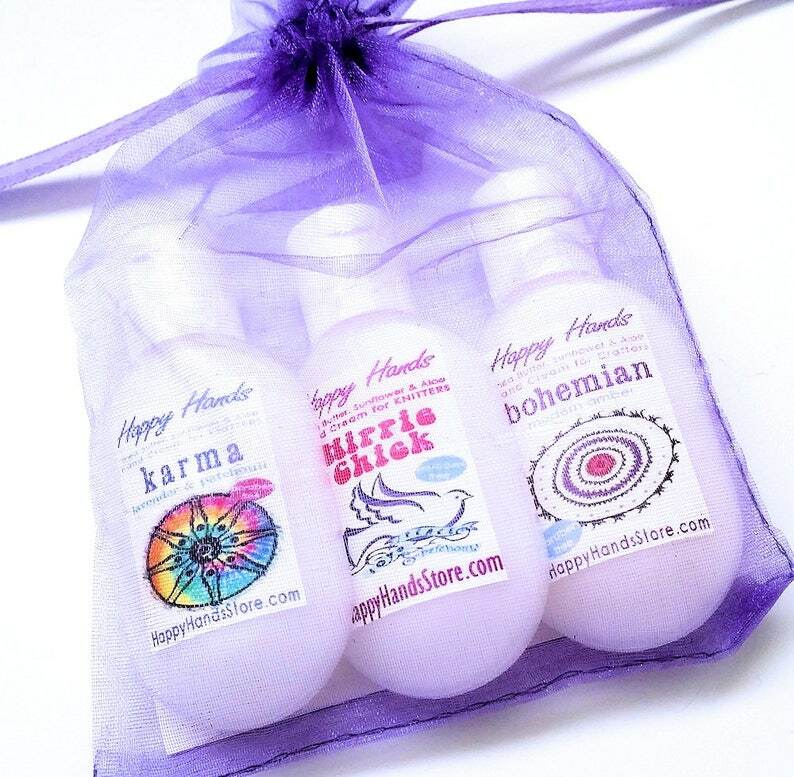 What a lovely treat, a gift for a knitting friend or for yourself: a Trio of my 1-ounce Happy Hands hand cream Tottles! This Trio contains three 1-oz refillable "tottle" bottles of my scented hand cream, in a pretty organza bag tied with a satin ribbon. It has been awhile since I ordered from Happy Hands--sure enough, this lotion is still the same high quality lotion I fell in love with! I love these little multi packs as a way to try out new scents! It's just enough to really get a good idea if a new fragance works for you. Loved all these scents and the lotion feels smooth and non-greasy on my hands. I'll definitely be back for more! I got these hand creams almost immediately even during the winter holidays. They all smell delicious and truly do sink in immediately so they leave no grease or residue on your hands.